In slides pane, click toolbox item to add a slide. Url of the background image of the slide. Please choose image from your workspace on jssor.com, or type an absolute image url which refers to any website. The way to fill background image of the slide, default value is the global Fill Mode setting. Stretch: stretch main image to fill full area of slide. Contain: scale main image and put it all inside at center of slide area. Cover: scale main image and let it cover full area of slide. Actual Size: keep original size of main image and put it at center of slide area. Contain & Actual for Small Image: use Contain for large image and Actual Size for small image. Background color of the slide. Link url of the main image, if the main image is not specified, this field will be ignored. Specifies where to open the link, default value is _self. Posible values are _blank, _self, _parent, _top or framename. The period (in milliseconds) to idle before playing next slide, default value is the global Idle setting. Url of the thumbnail image of a slide. If an image style thumbnail navigator is enabled, it will generate thumbnail from main image of a slide by default. But this field can specify thumbnail explicitely. 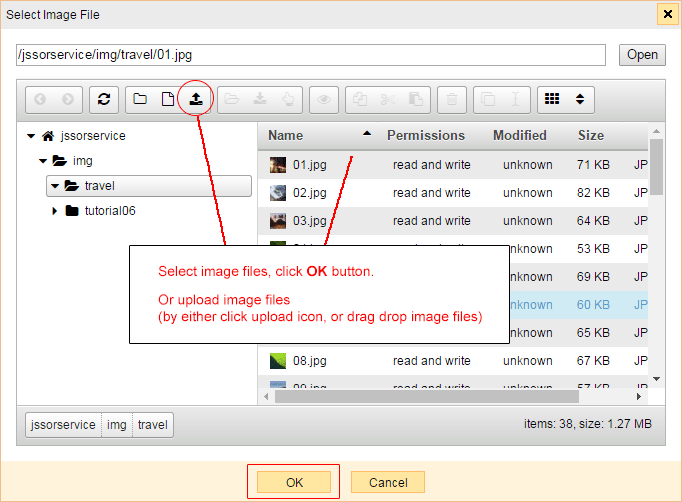 You can choose image file from your workpsace, or you can type an absolute image url which refers to any website. 3D Space is not necessary, setting up a perspective Depth value will create 3D space of the slide. 3D space is for child layers to play 3D transition like Rotate X or Rotate Y or Translate Z. Depth of the 3D space perspective, to create 3D space of a slide, this property should be specified. For example, the value 50% means the depth is 50% of 3D space size. Given a 3D space with size 400px x 400px, the perspective depth will be (400 + 400) / 2 * 0.5 = 200px. The X (in percentage) of the perspective point, default value is 50%. Note that perspective point is known as perspective-origin-x in css3. The Y (in percentage) of the perspective point, default value is 50%. Note that perspective point is known as perspective-origin-y in css3.